If you’ve read my last column about The Closer, you may have noticed that I’m a bit of a fanboy. I loved Brenda Lee Johnson and her team, spent years with her solving all kinds of crimes, watched her getting in trouble with the law herself and was moved when her father was diagnosed with cancer and her mother died (SPOILER ALERT). So while I was more than a little disappointed to hear that Kyra Sedgwick decided to leave the TV series to focus more on her career as a B-movie actor, I was also excited to see how they would continue the show without her. The biggest difference (and maybe the biggest failure) is the new woman in charge, Captain Raydor. In season five she was introduced to The Closer as Brenda’s nemesis and constantly trying to throw a wrench in her gears. Even though her attitude towards the beloved Deputy Chief changed during the final season of the show in order to prepare the audience for the spin-off and it’s new main character, Raydor never became a very likeable person. But not only is her character lacking in charm, she is also lacking of competence. While it was Deputy Chief Johnson’s CIA training and sly wits that got almost everyone in her interview room to invoke their right to an attorney and confess the crime, with Captain Raydor the crime just… gets solved. This major change is also paid tribute in the title: The Closer became Major Crimes. Another problem is the setting: it hasn’t been changed the tiniest bit, apart from the above-mentioned worsening by the switch in main characters. 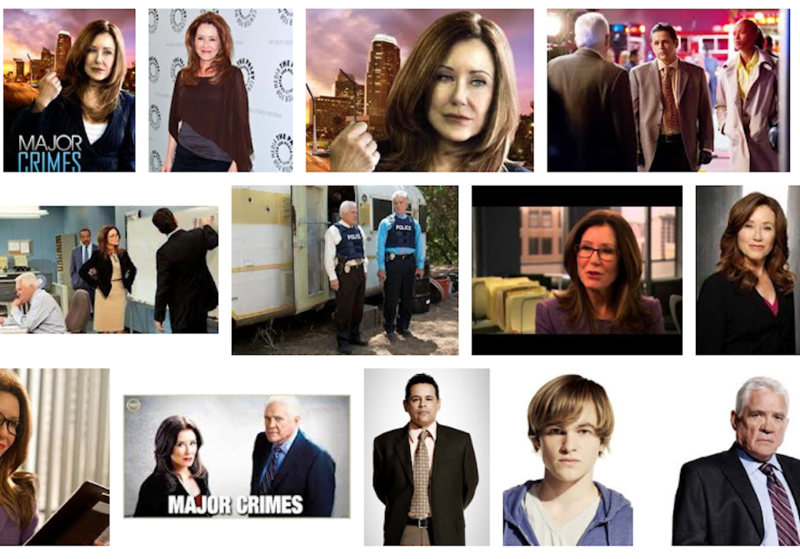 In fact, Major Crimes feels like a reboot of an award winning crime series that has gone up completely in smoke. When Raydor is taking over the male dominated major crimes division in the pilot, she is facing exactly the same difficulties as Brenda Lee Johnson did in the first episode of The Closer, only the new boss is lacking the charisma of big mouthed (and big lipped), chocolate-addicted Johnson, played by the formidable Kyra Sedgwick. The final nail in the coffin of this once great crime show is a new character, which had already been introduced in the last episode of The Closer: Rusty Beck, a homeless male prostitute who was a material witness and later taken into care by Captain Raydor is so annoyingly stubborn I’ve wished the writers of the show would kill him off from the moment he was introduced. So even though Lieutenant Provenza and the rest of the team still make funniest and most likeable crime unit in television, it’s their new boss, the lack of fresh ideas, and Rusty in particular that will hopefully lead to the cancellation of the show in order to make room for something really new and innovative.